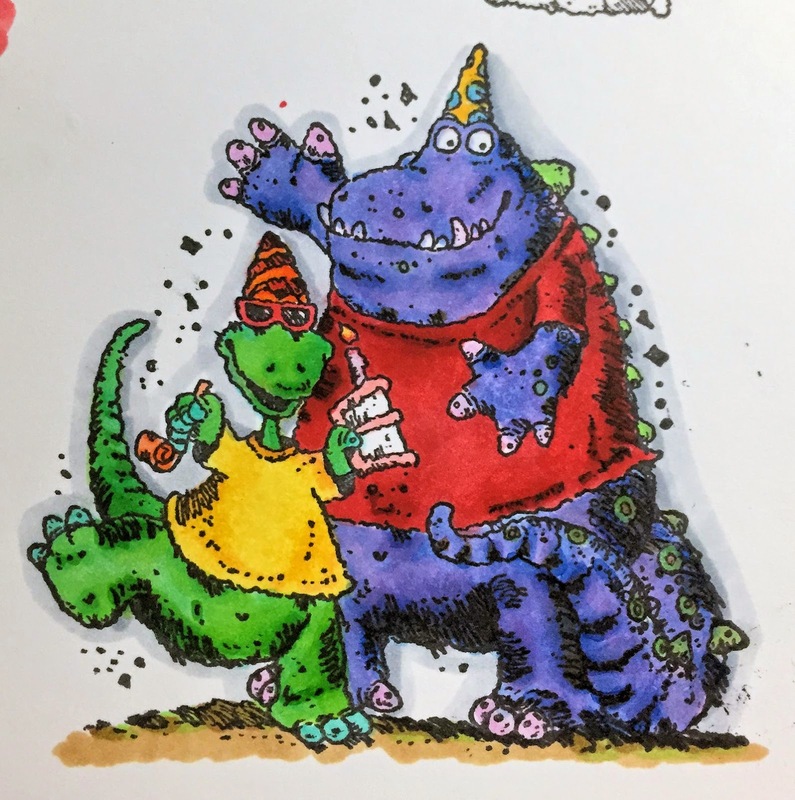 So Kathy Racoosin over at The Daily Marker is one of my coloring (and design) heroes. I love her abilities and style. I want to be Kathy when I grow up. LOL! She's holding a challenge for the next month to simply color every day. It doesn't have to be fancy, complete, mounted, anything. Just color. I can do that. Or at least I want to do that. Day 1. I've culled my stamp stash again but there were a few sets that I didn't want to completely part with but I knew that I really wouldn't use them enough to make it worth keeping them. Those I stamped up a few pages of blanks for future use. Dino-mite was one of those. While I spent quite a bit of time on it, it still doesn't have the shading/depth on it that I'd like. I tend to get my Copics on heavier than I'd like in shaded areas and then blend over them so much that they fade out. Oh well. There it is for today.